This really is a talent, I think, though not one that has earned her many fans in the science community. That Brizendine is a trained psychiatrist, and a member of the American Board of Psychiatry and Neurology, has not helped her credibility in science circles—in fact, many feel it only makes her more culpable, since she really ought to know better. What I think she knows, however, is that popular science books don’t have to be evidence-based to become best sellers, and she’s no doubt correct. Her just-released book, “The Male Brain”, will demonstrate that marketplace truism once again, and once again she is raising the ire of scientists. A few examples will better illustrate why this tension exists. Brizendine likes to say that men and women are very much alike, but different in a few crucial ways. Fair enough. How are we different? What’s interesting is that the “mirror-neuron system” at the core of her claim may or may not be a “system” at all; in fact, whether mirror neurons even exist is still a point of neuroscientific contention. At the very least, how these neurons work is debatable and there’s anything but widespread agreement about what they do. But Brizendine makes it sound as if the matter is settled and we can confidently draw sweeping conclusions. But take another look at her statement. Is the conclusion she’s reaching a paradigm-breaking discovery? Not at all. It’s just a regurgitation of the same stereotype we’ve heard for years, that women are more empathetic, more in sync with emotions and better communicators. Only now, according to Brizendine, we have a grandiose scientific underpinning for believing it. Here’s another claim: “Perhaps the biggest difference between the male and female brain is that men have a sexual pursuit area that is 2.5 times larger than the one in the female brain.” This statement begs the question, where exactly is this “pursuit area”? The reader shouldn’t expect an answer—at least not one with scientific validity—because in all likelihood no such “area” exists. At minimum we should be asking how this skirt-chasing control center was identified. This is an example of a trend that has taken over popular psychology and neuroscience publishing: using correlational fMRI data (which areas of the brain show activity under various conditions) to create the appearance of solid, rigorously researched conclusions (e.g. identification of a “pursuit area”). The problem, as recent studies have shown, is that fMRI often produces different results under the same testing conditions, and no one is exactly sure why. This fracture in the reproducibility chain doesn’t necessarily invalidate fMRI results, but it should (and generally does) stop researchers from claiming that the results are conclusive. At best, they are suggestive, at least for now. As the technology improves that may change. In addition, how to interpret fMRI results is an ongoing debate. Brizendine arrives at this conclusion by way of a connect-the-dots methodology: Testosterone plus “visual brain circuits” equals “man trance.” It sounds as though she’s referencing a well-researched phenomenon, and yet I can’t find even a mention of the “man trance” anywhere in PubMed or Google Scholar. Why I can’t isn’t a mystery—she made up the term. That’s fine. An author should be allowed to coin new terms, as long as the underlying facts are solid. But here’s where we have the bigger problem—they’re not. The two studies in PubMed that address the testosterone-visual circuitry connection are about the sexual behavior of birds and goldfish. Have we developed a sophisticated method of detecting a male bird or goldfish’s entrancement with female bird and goldfish breasts? I’m pretty sure not. This does, however, illustrate another disappointing trend in pop science publishing: extrapolating what sound like compelling conclusions from preliminary (and sometimes quirky) studies–many of which won’t ever be reproduced. The trick here, once again, is how the “conclusion” is packaged, not how well it’s supported. Every time Brizendine goes on a talk show and discusses the “man trance,” what will stick is the clever, sound-bite ready term. Whether or not the term is evidence-based won’t matter, and usually no one will ask. Many more examples could be addressed, but I’m sure by now the point is clear: in books like Brizendine’s, we’re not getting the results of science, we’re getting a dose of scientainment. Having it delivered to us by a well-credentialed professional makes it all the more appealing, and—in the time-honored tradition of relying on the authority of “experts”—all the more unassailable. Unfortunately, the takeaways from these books aren’t enriching the knowledge pool. Instead, they reinforce our natural tendencies to simplify, categorize and stereotype—tendencies that for most of us aren’t in need of reinforcement. Great article, great points – we should all be moreskeptical of the interpretation of fMRI data. The reliability issue isn’t really as big of a problem, as this can best be explained by individual anatomical and methodological differences. The interpretation of fMRI studies is the real problem. I’ve corresponded with the author for the point of discerning his understanding of systems level cog/brain research upon stumbling onto his cite, and have come away thinking he’s a bit of a crank advancing a pet theory. He has a section at that site where he brags about being rejected for publication for the very work you cite, and almost no cognitive neuroscientist (I’m a 5th year cog neuro grad student) would agree with anything he has to say. He’s even called the work of giants like Hubel & Wiesel and Eric Kandel “stupid”. At the least, if you do cite him you should point out that he does not reflect the state of cognitive neuroscience , and that particular work was rejected for publication. As a psychologist who has taught Psych of Women for over 25 years and had read many scientific articles and academic books on gender research, I concur with your criticisms. This is reductionist pop psych at its worst. Psychiatrists like Brizendine generally know very little about actual human behavior because they don’t have to study NORMAL behavior. She clearly brings in very little social psychology, using only bad neurology to attempt to “prove” her point. 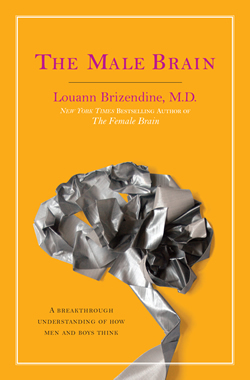 A far better book on gender and the brain is “Brain Gender” by neuropsychologist Melissa Hines. Hines is a recognized expert who has done some of the most important research in this area, and she reaches very different conclusions. But she didn’t write a glitzy pop book so she has been ignored by all but people like me who make a point to read the actually scientific books on this topic . I get quite annoyed when I read about neuroscience in the mainstream media and it’s often a vastly oversimplified and usually misunderstood account. It’s not just a shame, but a fairly big disappointment when the same is true of ‘popular science’ books. Interesting article! And Craig – when you mention that the biology books that you’ve read are interesting and accurate, I can concur. I recently read “The Wild Life of Our Bodies” by Rob Dunn (http://popsciencebooks.com/best-biology-books/) and can definitely recommend it. Normally i go to this people for assist when they article related troubles to what’s occurring surrounding the schooling process.